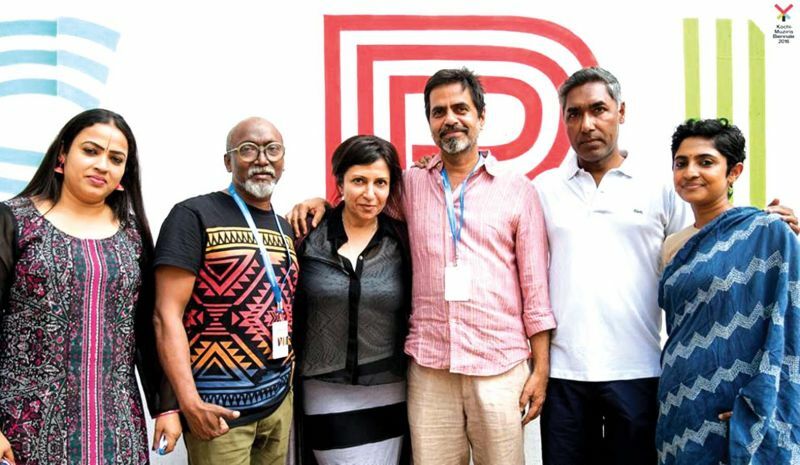 Kochi-Muziris Biennale is the ‘art startup’ Asha Jadeja Motwani, a venture capitalist, chose to make her maiden donation in. 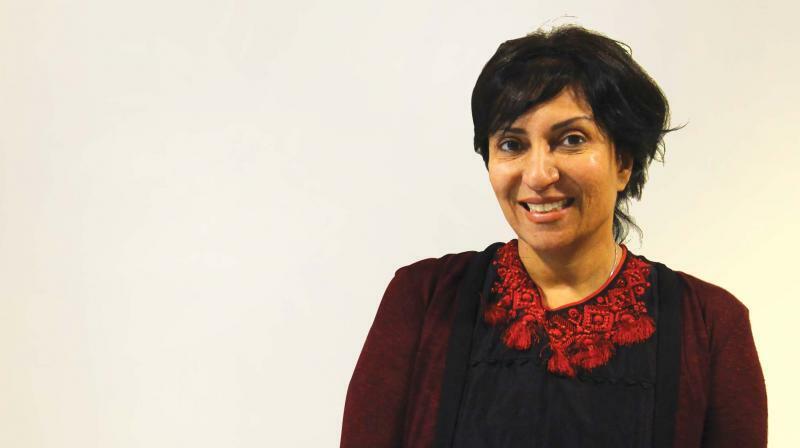 One fine day, angel investor Asha Jadeja Motwani walks into the Kochi Biennale Foundation office, hands over a cheque bearing a hefty sum with many digits on it. Her role here is as a philanthropist. Asha, the venture capitalist chose the most vibrant art event — Kochi Muziris Biennale — to make her very first donation in arts. Since then, she has been a platinum patron to the Biennale. In her own words, the money spent for Biennale is the second largest of her contributions —the first one was towards erecting a building at IIT Kanpur. The Biennale’s significance gets more glorified with Asha associating with it, not because of the money in millions she was able to pour down. But the fact that she has loosened the purse strings for an art initiative even when her investment in Indian startups is not too much is significant. Of the nearly 100 start-ups she is acknowledged to have invested, a plum share belongs to the US. Is it not amazing that Motwani gets attracted to an art show, fully knowing that she’s not gonna earn rich dividends in return. “Kochi Biennale, in my view, is a powerful start-up capable of rebooting Kochi, creating ripples in the Indian art scene on the whole. I see this as a flagship event of India. Bose and Riyas are like the start-up founders who make impact out of what they do. The investment is my way of giving back to benefit the whole country,” gushes Asha, who pins tons of confidence on the men at the helm. Asha (third from left), with Treessa Jaifer, Bose Krishnamachari, Sudarshan Shetty, V. Sunil and Manju Sara Rajan. The high-flying businesswoman makes no attempt to conceal her bewilderment over the crowd support and enthusiasm that went behind the making and promotion of the event. “A big hats-off to the Kerala Chief Minister and Government. They are so proactive to support the event. I was blown away by the theme and the volunteers who toil hard to make the event a grand success. I came twice, stayed there for a bit each time, got to interact with local people and felt a very authentic Kochi experience. This is worth an exemplar and encouragement for other states to emulate,” her feelings for Biennale know no bounds. Asha’s Kochi connect dates back to three years. The first time she was here, it was only business in her mind. Even much after curtains come down on the Biennale, her Kerala links would linger on. She, along with a Google higher-up identified a breeding ground to make an investment, a Kerala-based start-up. Asha does not wish to disclose more about the firm or her plans for the time being. What actually makes investors of Asha’s ilk turn heads to Silicon Valley? Why not India? From the way she sees things, Indian start-up ecosystem and Silicon Valley are not on par to have parallels and shouldering a credit risk is not a capitalist’s cup of tea. “Indian start-up scene is so young, it is not as matured to the size of Silicon Valley. I don’t see any good start-up coming out of India now. My dream is to see the Indian start-up ecosystem grow matured as in Silicon Valley,” she reasons. Asha wants the fillip to come from within ourselves, the successful enterprises in India promote fledglings to emerge. “The first batch of Indian entrepreneurs who came out of Silicon Valley in the early years had an attitude like, ‘hey, we did, it, let’s support the others now’. The senior batches helped the ones who followed. In India I see three tech unicorns — Flipkart, RedBus and Snapdeal. These kinds of established firms can come forward and raise the emerging entrepreneurs,” she suggests.